Home » Articles » The British Shorthair: Weight, Food, History, and More! The British Shorthair: Weight, Food, History, and More! British Shorthairs are intelligent, affectionate and generally without a temperamental side. They are tolerant of children and dogs, making them excellent family cats. While they like to be around their owners, they prefer to keep their feet on the ground and will not be comfortable when carried around. They are quite content with their own company, and able to amuse themselves if they are left alone in the home. Read on to learn more British Shorthair facts and discover what makes this breed unique. The British Shorthair’s history makes for interesting reading. It is believed that the British Shorthair is descended from Roman cats which were brought to the British Isles by the Romans. These cats would probably have interbred with the indigenous cats on the island and continued to be house pets, which were valued for their ability to catch rodents. During the 19th century in England, interest in pedigree cats flourished and breeders sought to have their domestic cat recognised in its own right. These cats were first shown in 1871 at the Crystal Palace in London. At this time, they were also bred with Persians. Find out how to care for the British Shorthair at each stage of its life. 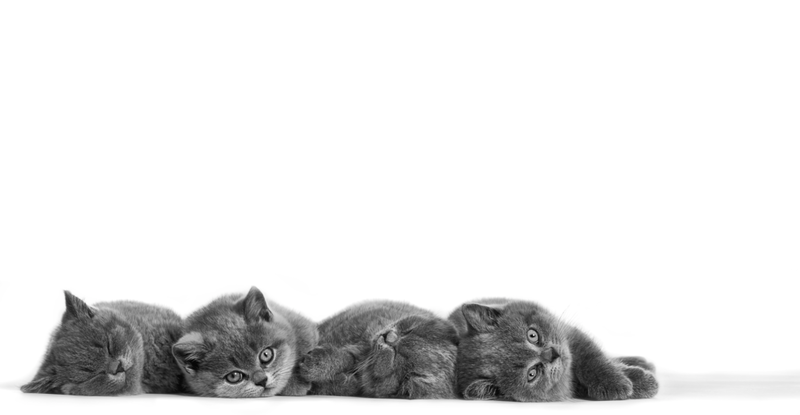 British Shorthair kittens are playful and full of energy, enjoying lots of games with their owners. This breed develops relatively slowly, not reaching full maturity until at least two years old. Their quiet and calm nature means they will quickly adapt to their new home and form strong bonds with their human family. Once formed, this strong bond will mean that they will want to be where their owners are. They will often sit beside them or follow closely behind as they move around the home. When fully grown, the British Shorthair is a powerfully built cat, with strong legs and a broad chest. Despite their firm expressions, they are loyal and friendly companions to all in the home. They have a broad head, short, strong legs and round feet. Their tail is thick and they have a firm, plush coat that is often described to be crisp in texture – referring to how the coat breaks over their curved build. An abundant undercoat underlines the British Shorthair’s rounded shape. The short coat is dense and plush. Given the British Shorthair’s shedding tendencies, a weekly brush is recommended to keep your their coat healthy and remove any loose hairs. It is important to know how to properly care for this breed of cat in order to support their health at every stage of their life. The British Shorthair is known for being a heavy breed for their size and with a cobby body shape and relaxed personality, this can mean they easily gain excess weight. 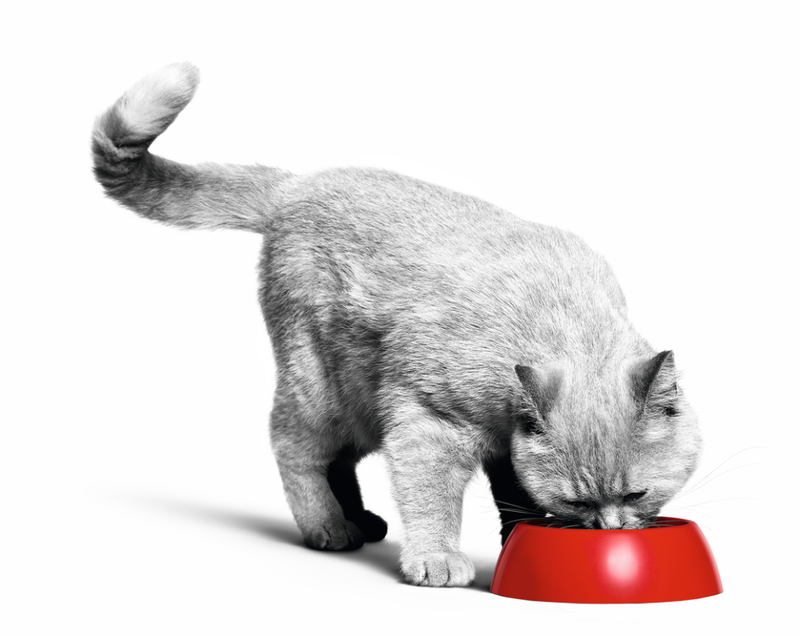 It is important to pay close attention to a British Shorthair’s size and body condition, adapting their food portions accordingly to avoid weight gain as obesity will cause additional stress to their joints as well increasing the risk of other health concerns. If you are unsure about your British Shorthair’s weight or body condition, always consult a veterinary surgeon. The cardiac condition Hypertrophic Cardiomyopathy can be a concern for this breed of cat. This is another reason why the British Shorthair’s weight should be monitored. A diet which includes taurine and EPA/DHA helps to maintain healthy cardiac function. British Shorthairs are known for their loyal and affectionate nature which lasts into old age. That being said, their health and nutritional needs will change as they grow older. It’s a good idea to arrange regular check-ups with a vet at this stage, as they will be able to advise on any nutritional changes or health concerns that ageing may bring.